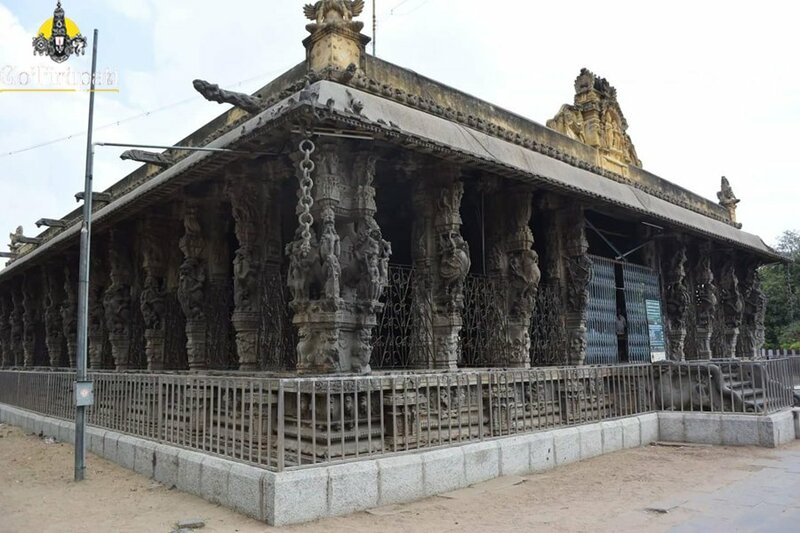 Varadaraja Perumal Temple Kanchipuram is dedicated to Lord Vishnu which is located in Vishnu Kanchi. 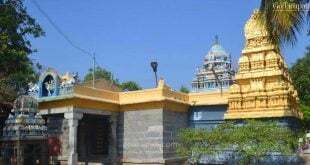 This temple was built in 25 acres of Land. Varadaraja who is referred as king of Devas is a boon-giver. 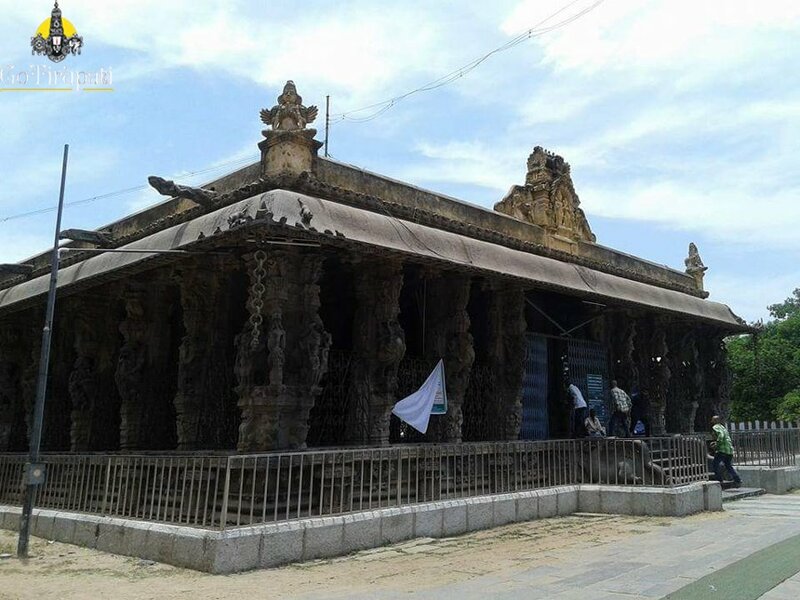 This temple is one of 108 Divya desams (holy abodes) of Lord Vishnu. 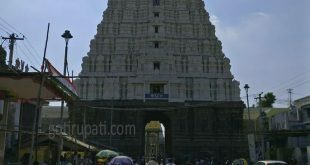 As per the Legends, Lord Brahma performed Yajna here to purify himself with His Consorts Gayatri and Savitri by ignoring Goddess Saraswathi. Enraged by this, Goddess Saraswathi took the form as a fast-flowing river Vegavathi and tried to sweep the whole region with high tides. On request of Lord Brahma, Lord Maha Vishnu laid himself in reclining position to check the floods. When Lord Brahma’s Yajna was concluded, Lord Vishnu emerged dazzling with the sparkling of Thousand Suns from the Yajna fire. 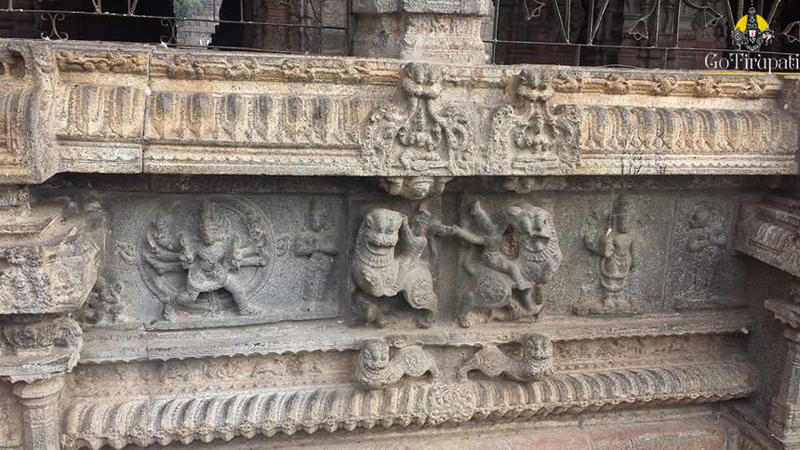 Iravath (God Indra’s Vehicle) lifted Lord Varadaraja as a mount, Athi mount. 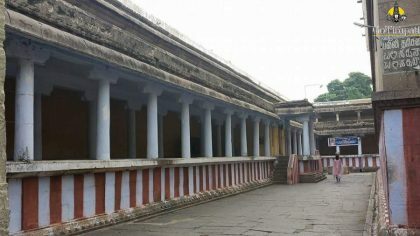 There are 24 steps to Atthigiri Temple. 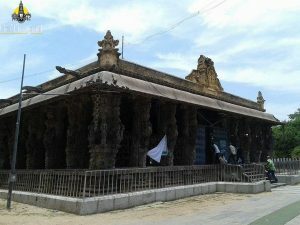 This temple was built by Chola kings in 1053 A.D and it was expanded by Chola King Kulutthunga Chola I and Vikram Cholas during 1075 – 1135 AD. Later, the temple was renovated by Vijayanagar Kings in the 12th century A.D. This temple has four Prakarams with two huge Gopuras. 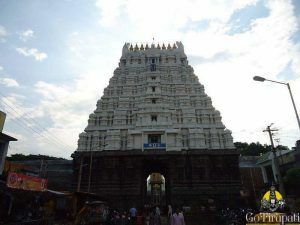 Main entrance Raja Gopuram ( Temple Tower) is of 96 ft Tall. The main deity, Lord Varadaja is in standing posture, facing west and holding Sanku (Conch), Chakra (disc), Gada (Club) and Padma (Lotus) with his four hands. It is said that the present main deity of Lord Varadaraja was sculptured out of a rock here after the original wooden Idol of Atthi Varadaraja got damaged hundred of years ago. 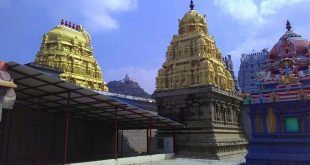 Once in 40 years, Athi Varadaraja Idol will be taken out in a procession. 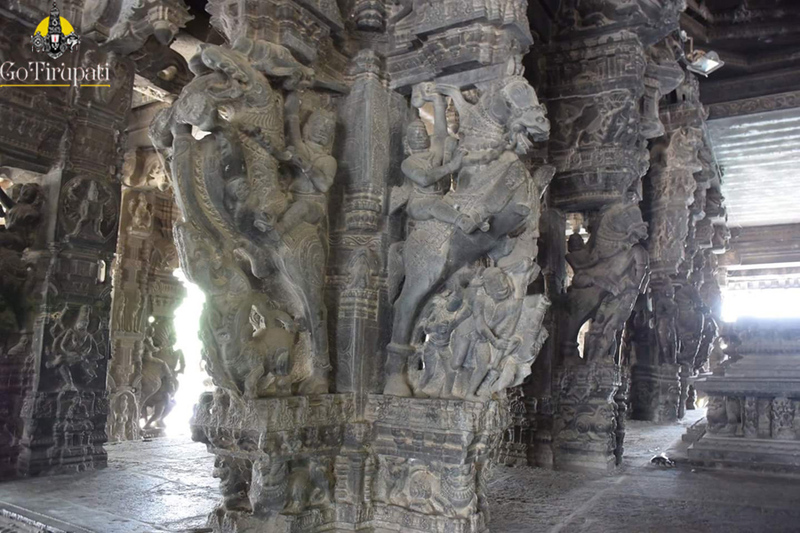 100 pillared mantap which comes on the left after passing Raja Gopuram, is eye-catching with beautiful sculptures. Two disciples of Sage Gautham used to fill Pooja vessel regularly with water. 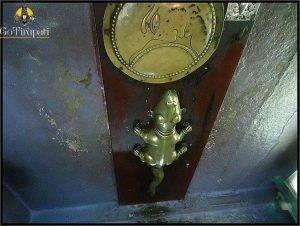 One day, a lizard fell into the Pooja vessel which was filled with water. Unknowingly, disciples placed this vessel in front of the sage. Gautham Rishi noticed the lizard in the vessel while offering prayers to the Lord. Sage angered for their disciples’ ignorance and cursed them to become lizards. As advised by the Sage, two disciples reached Kanchipuram and stayed here as lizards for a long. 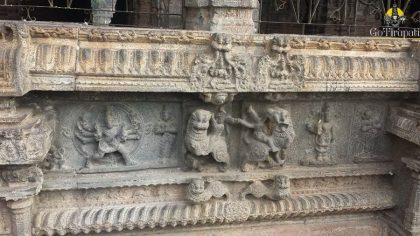 Disciples got relieved from their curse, when Indra who was cursed by Goddess Saraswathi, came here as an elephant and prayed for Lord Varadaraja. Disciples attained salvation but their mortal coil remained here. It is believed that who prays Lord Varadaja and touches these two lizards on their way out will be relieved from all chronic diseases. 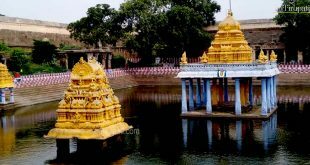 How to reach Varadaraja Perumal Temple Kanchipuram ? 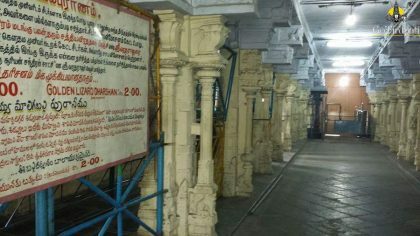 Ekambareswarar Temple is 4.8 km away. Kanchi Kamakshi Amman Temple is 2.9 km away. 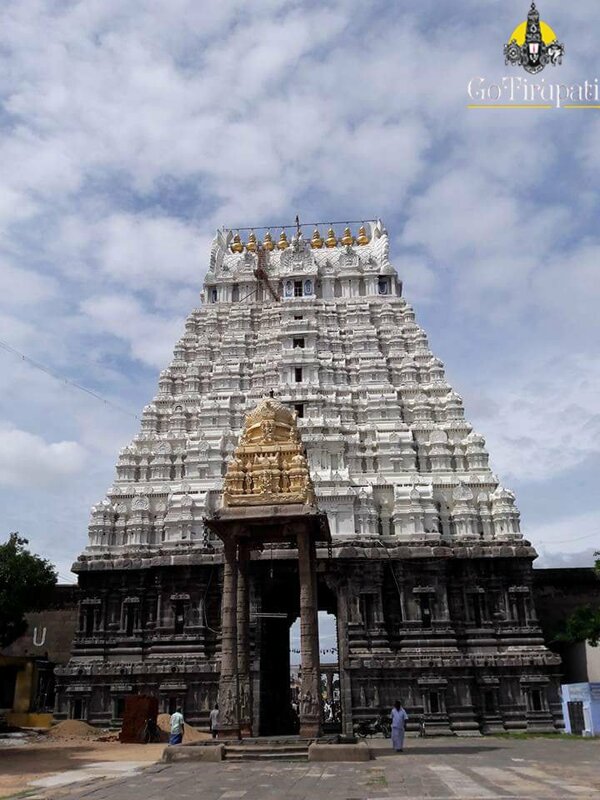 When will be Sri Varadarajaswamy’s 40 years procession. will you inform please. for detailed information please call at 93939399150. When will the Garuda seva happen for this year and it’s timings? You need to contact 9393939150 for detailed information.